The sheer number of ants in a single colony can seem overwhelming at times. If only one colony sets up shop near your home and begins an invasion, the problem can become annoying. Do you know how to find ants that are on your property? The good news is that they’re not the sneakiest of insects. Most ant varieties don’t go out of their way to hide their presence. Let’s take a look at how to find ants both inside and outside your home and how to get rid of them. 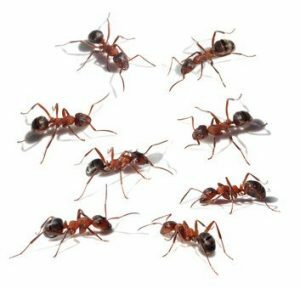 You’ll be alerted to most species of ants when you see them crawling around the inside of your home. This will usually take place in the kitchen, where they’re being attracted to your trash or possibly leftover food that you dropped on the ground or left in the sink. Ants don’t typically travel by themselves. Instead, you’ll see a line of the critters, sometimes numbering in the hundreds, as they move back and forth between the food they’ve found and their colony outside. However, it’s also important to note that carpenter ants are a special case. Those troublesome insects will often make your basement their home and will chew through your wood. It may sound simple, but the key here is to simply look. You might laugh, but the best way to find ants outside your home is to walk all over your yard, both front and back, and see if you spot any. If you find a line of ants crawling around, it shouldn’t be too tough to hunt down their colony by following it to its source. Just look for the hole in the ground or a mound that’s protruding out of the dirt. Surrounded by ants, of course. Ants Infestation. If you find a line of ants crawling around, it shouldn’t be too tough to hunt down their colony by following it to its source. Getting rid of ants typically isn’t too difficult. If you only have a few, you may simply want to spray. 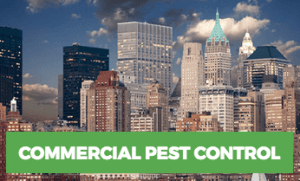 Some poisons on the market will kill the critters on contact. However, if you have small pets or young children who might be exposed to the toxic chemicals, it’s best to find an alternative. 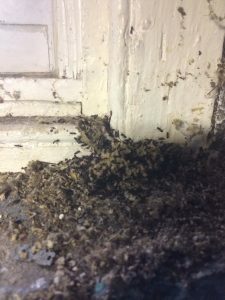 A popular method is to utilize an ant baiting system. These systems contain a food source for ants that is laced with a slow-acting poison. The ants take the bait back to the colony, and after a while, the poison will infect a large number of ants within the colony. If used correctly, a baiting system can be an effortless, effective way to eliminate an entire colony. Make sure your home is sealed. Ants will enter through the tiniest of cracks, so look around for any obvious access points from the outside. If you can see them, you can bet your bottom dollar that the ants will, too! Try to eliminate moist, damp areas. Ants like moisture. So if you’ve got leaky pipes or faucets, you may want to fix them. Also, consider installing a dehumidifier in damp areas and try to make sure that most of your home is well-ventilated. Don’t leave food lying around. Never leave food on kitchen countertops, and be sure food in your cabinets is sealed. Also, try to regularly take out the trash—leaving an overflowing trash can sitting for days is one of the most sure-fire ways to get ants. Trim your foliage, so it’s not touching your house. 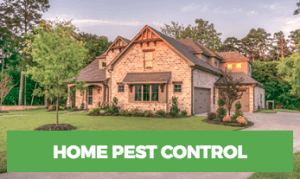 Bushes, shrubs, and branches surrounding your home can be like ant-bridges—it’s one of the most common ways for ants enter from the outside.